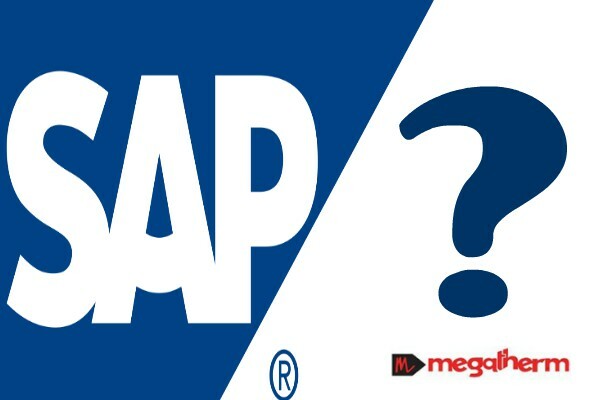 Why SAP Business one is the Right Solution for your business? SAP Business One designed for all your small and midsize company’s needs The SAP Business One application offers an affordable way to manage your entire business – from accounting and financials, purchasing, inventory, sales and customer relationships, and project management, to operations and human resources. The SAP Business One ® application offers an affordable way to manage your entire business – from accounting and financials, purchasing, inventory, sales and customer relationships, and project management, to operations and human resources. SAP Business One helps you to streamline processes, gain a greater insight into your business, so that you can act fast and make decisions based on real time information, to help you drive profitable growth. SAP Business One is designed for small and midsized companies to grow with you, it is flexible, modular, yet powerful and with its user-friendly interface, it is simple to use. Because every business is different, SAP Business One is designed with flexibility in mind. Whether it’s deployed on premise or in the cloud, you can access SAP Business One at anytime, anywhere via any mobile device. And because SAP Business One runs on both the SAP HANA® and Microsoft SQLserver platforms, you can choose the one that suits your business best. Do you want to grow your business overseas? SAP Business One supports 28 languages and 44 country-specific versions, delivered and supported locally by our extensive network of over 800 SAP Business One partners. Accounting – Automatically handle all key accounting pro-cesses, such as journal entries, accounts receivable, and accounts payable. Acquiring new customers is important for success, but maximizing customer relationships is just as crucial. SAP Business One provides the tools to help you efficiently manage the entire sales process and customer lifecycle – from initial contact to final sale, to after-sales service and support. Marketing campaign management – create, manage, and analyse marketing activities. Service management – manage warranty and service con-tracts efficiently, enter and respond to service calls quickly. Pipeline tracking, using time saving templates. Easier, up-to-date reporting -Generate reports with real-time data and display them in various report formats or dash-boards. o	Manage inventory using various costing models, maintain item master data, and use multiple units of measure and pricing. o	Manage stock in multiple warehouses, by dividing each one into multiple subzones, set up allocation rules, optimize stock movement, and reduce picking times. o	Record goods receipts and issues; track stock locations and transfers; enable consignment, drop-ship, and other orders; and perform inventory and cycle counts. o	Create and maintain multilevel bills of materials (BOMs), issue and release production orders manually or by backflush, and globally maintain prices for BOMs. o	Generate reports with timely data and display them in various formats or dashboards. with Microsoft Office, SAP Crystal Reports lets you choose from a variety of report formats and control access to information displayed. With optional analytics powered by SAP HANA, SAP Business One takes advantage of in memory computing for analysis and reporting. You gain real-time access to predefined dashboards and reports, as well as productivity tools to support decision-making. You can tailor forms and queries to meet specific requirements without technical training. You can also configure settings to define exchange rates, set authorization parameters, and create import and export functions for internal mail, e-mail, and data. o	Access data from multiple sources, create new reports, and customize existing ones in a variety of layouts with minimal IT overhead. o	Use with standard MS Excel features to create reports and see your business from new angles. –	Drag and relate, drill downs, search assistance, and workflow-based alerts. it eliminates duplicate data entry, costs, and related errors. Workflow-based alerts trigger automatic responses when important business events occur, allowing you to focus on the most critical events. You have clear visibility into how your business is performing and greater confidence in the information used to make decisions. And now there is a SAP Business One to suit your business today and tomorrow and the future. o	You can now deploy SAP Business One Cloud for a monthly licence fee, so when your business grows your SAP Business One solution grows with you. o	Manage your business on the move and mobilise your sales team with SAP Business One mobile apps, so you are in control, available anytime, anywhere and on any mobile device. o	If you want to deploy your SAP Business One solution in the office – that’s just fine too, we have a deployment solution to suit all our customers’ needs. Previous Post:How to improve Accounting and Finance Management with SAP Business One? Next Post:What is the best ERP system for a small trading and overhaul company?